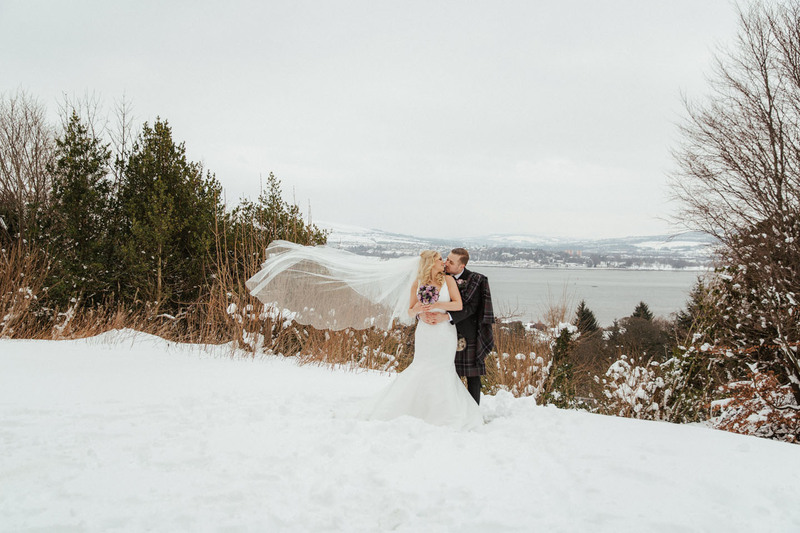 A romantic proposal, a sudden snowstorm, and plenty of lively Scottish Spirit, this Real Wedding Story is full of love and surprises. 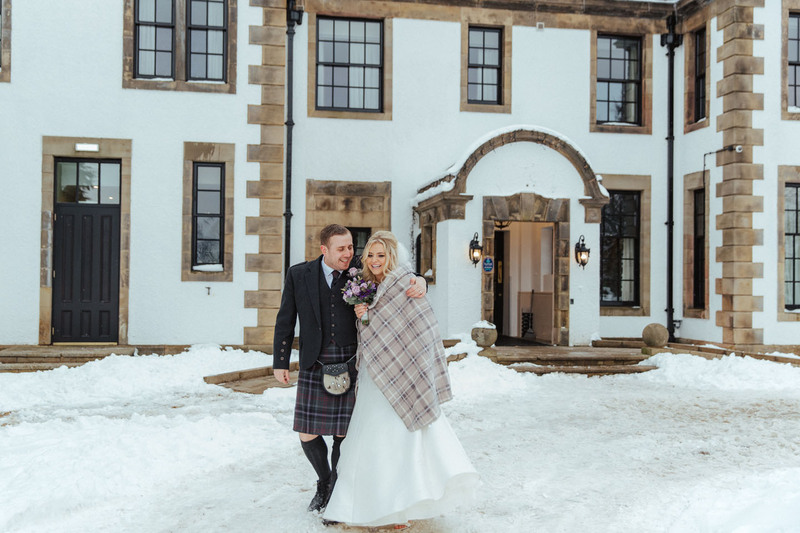 When they chose to get married in March 2018, Linzi and Craig didn’t expect their day to become a white winter wedding. But, it turns out that Britain’s biggest cold wave in years created the perfect backdrop for their big day. 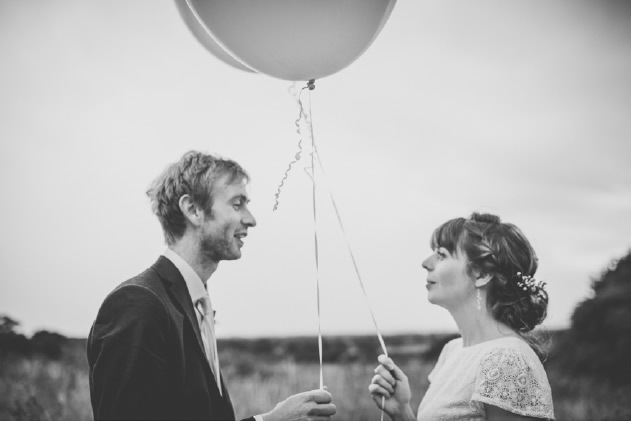 This happy pair were together for ten years before tying the knot. Having been high school sweethearts, they finally bought their first home together in August 2016. Three months later, Craig planned a mysterious treasure hunt that caught Linzi entirely by surprise. The search led Linzi to a personalised book written by Craig. As she began to read, her final clue fell out of the back – a postcode and a packing list. 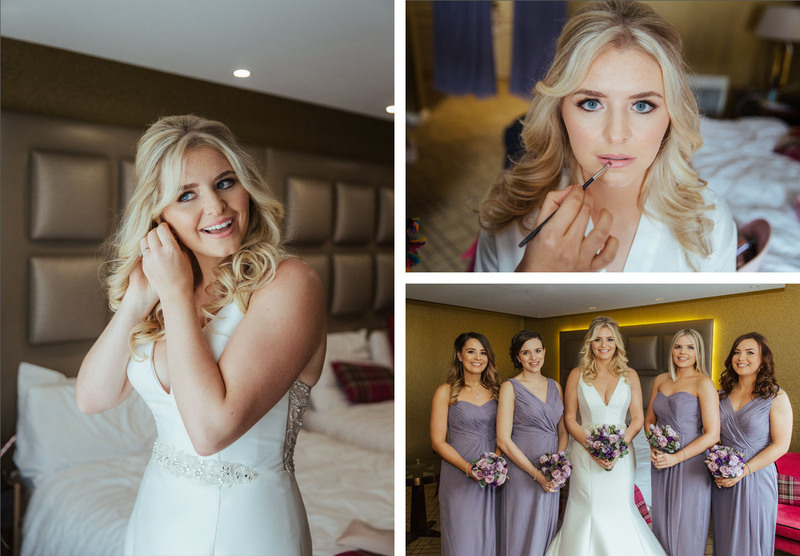 Getting back in the car, Linzi found herself driving to an address at Scotland’s stunning Loch Lomond, where Craig was waiting. 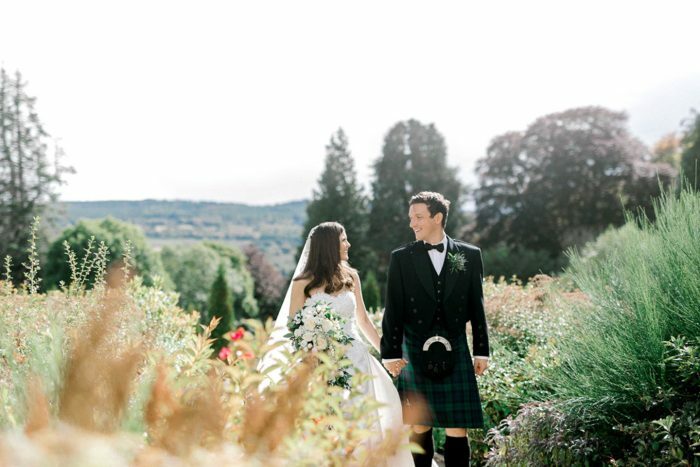 From day one, both Linzi and Craig knew they wanted a traditional Scottish element to their wedding. 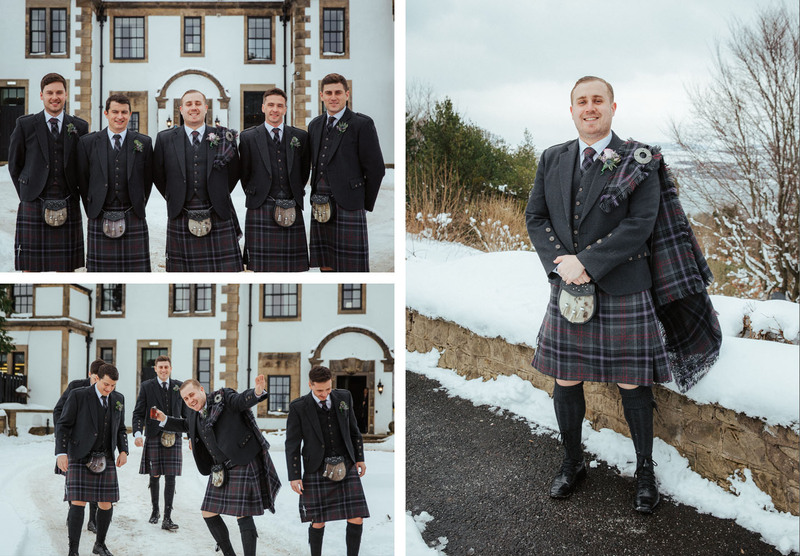 Craig and his groomsmen were to wear kilts, and it was important that they matched with the bridesmaids. 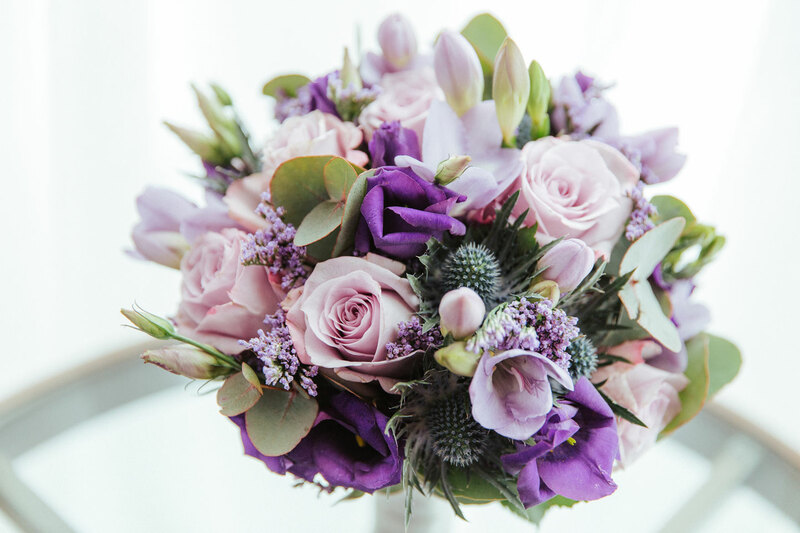 During a successful shopping trip, Linzi and her friends found their ideal dresses in Lavender, and that set the basis for their colour scheme. 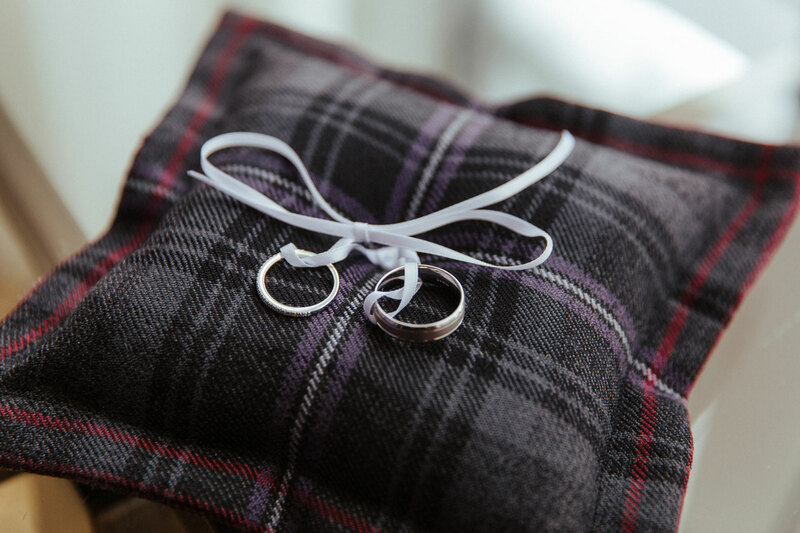 They then found a contemporary grey and purple tartan called Scottish Spirit, which tied everything together. Having chosen the gorgeous Gleddoch Hotel as their venue, they set about planning the rest of the day. 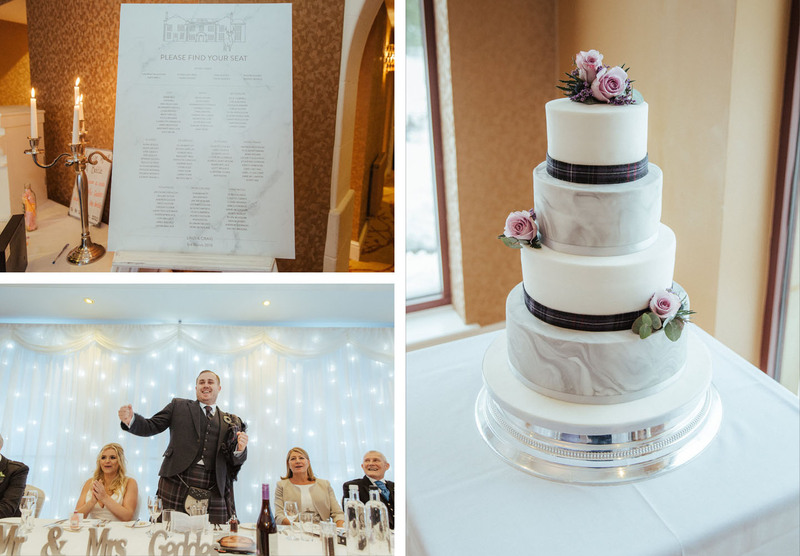 The colour scheme looked beautiful throughout the wedding stationery, flowers and cake, which was decorated in a grey marble with a tartan ribbon. As soon as guests arrived, they wanted them to know that this was going to be a fun day. So, they chose to welcome everyone with a Gospel Choir singing upbeat music. The choir performed while people took their seats, when Linzi walked down the aisle and during the ceremony, which set the mood perfectly for the celebration ahead. A couple of weeks before the day, everything was almost ready to go. 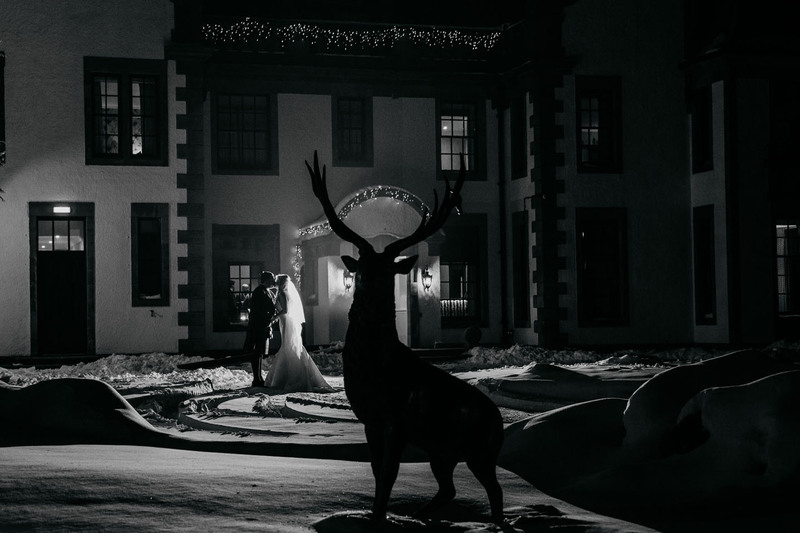 But there was one thing about their wedding day that Linzi and Craig couldn’t plan for… The Beast from the East. The date of the wedding was set for the 3rd March 2018. One year earlier, Linzi remembers that it had been a bright spring day with sunshine and blue skies. 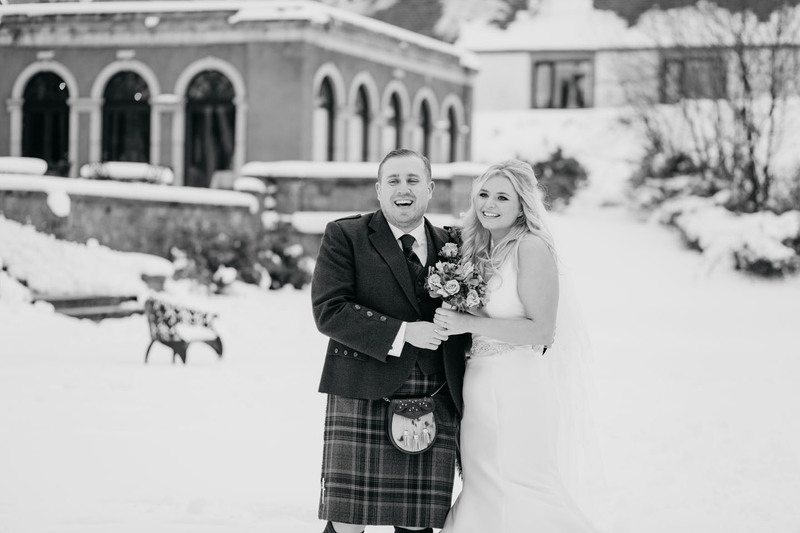 But, a few days before their ceremony the infamous blizzard came in and Linzi and Craig’s nuptials suddenly turned into a white winter wedding they could never have imagined. 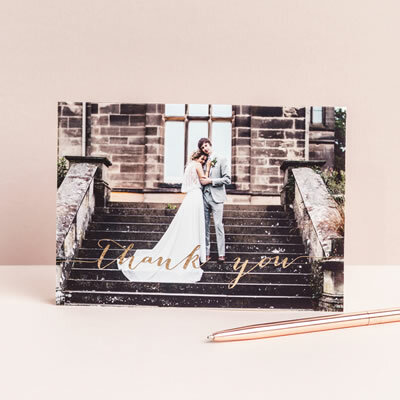 Wedding invitations are the guests’ first glimpse of what lies ahead for a celebration, so Linzi and Craig put a lot of emphasis on getting them right. At the start, they both had different ideas of what to choose. 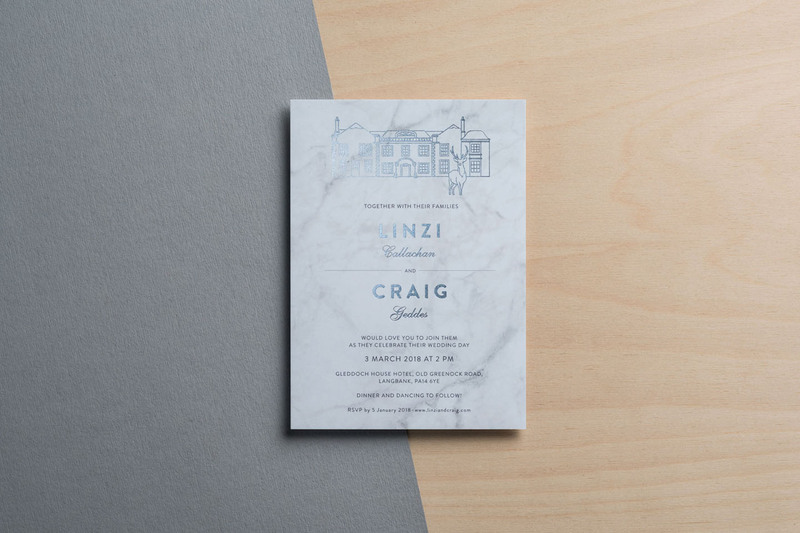 A classic elegance was important to Linzi, while Craig wanted a unique element that set them apart from anything people would have seen before. 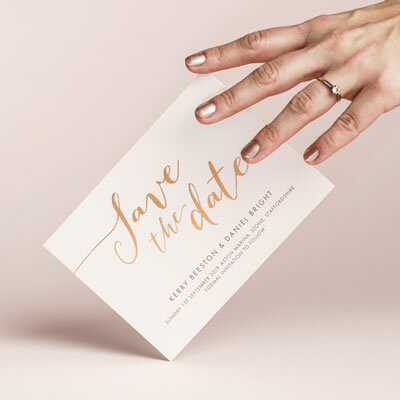 Our Modern Venue Invitations became the perfect solution. 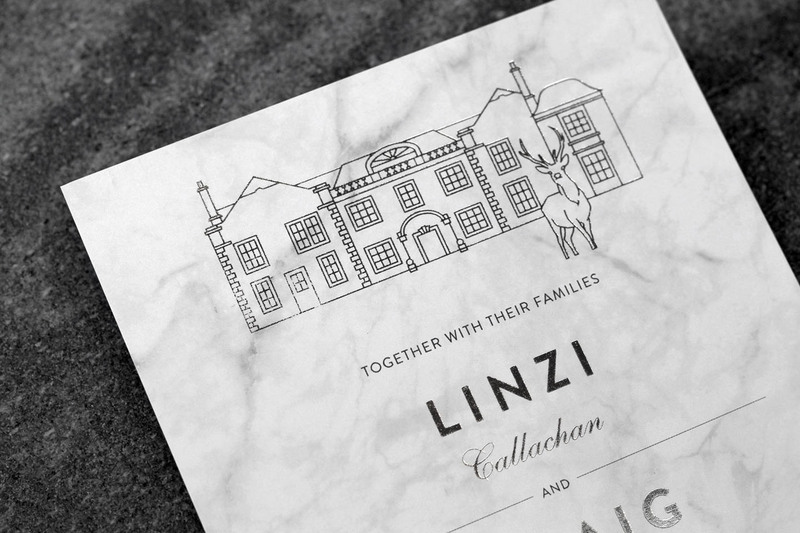 We created a bespoke illustration of Gleddoch Hotel, featuring its remarkable stag statue. Linzi and Craig then chose silver foil, which looked elegant on marble card and complemented their colour scheme. 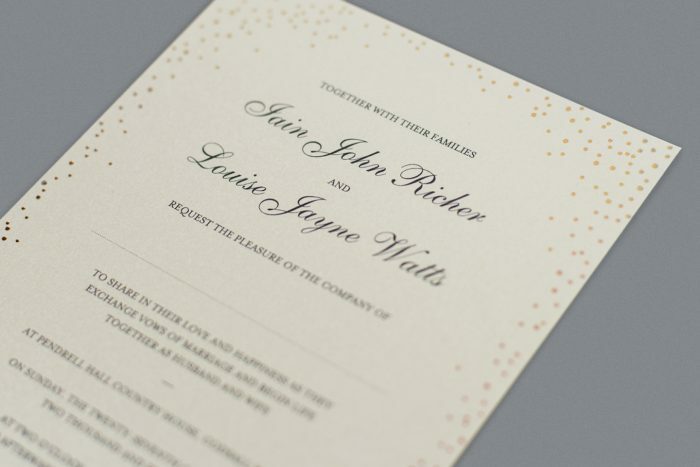 To keep the theme going during their wedding day, they also chose this design for their on-the-day stationery. 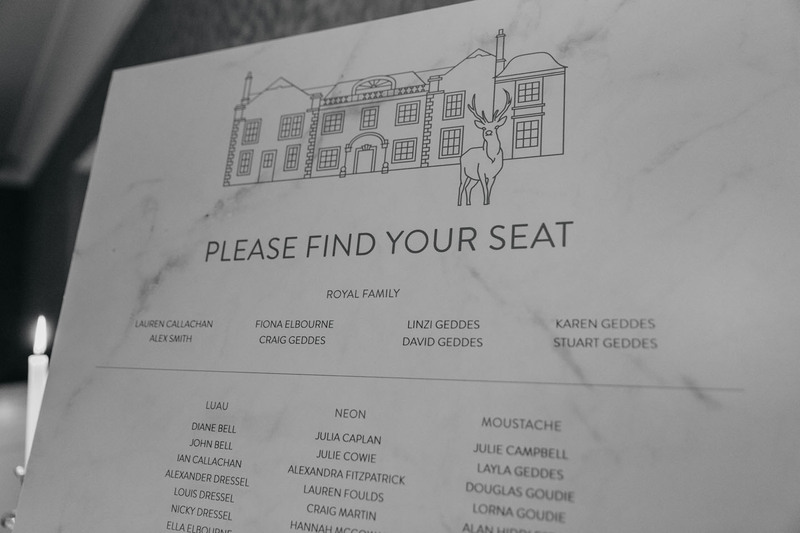 The same proud stag welcomed guests to their reception as part of their wedding table plan and their cake matched with the same marble effect. 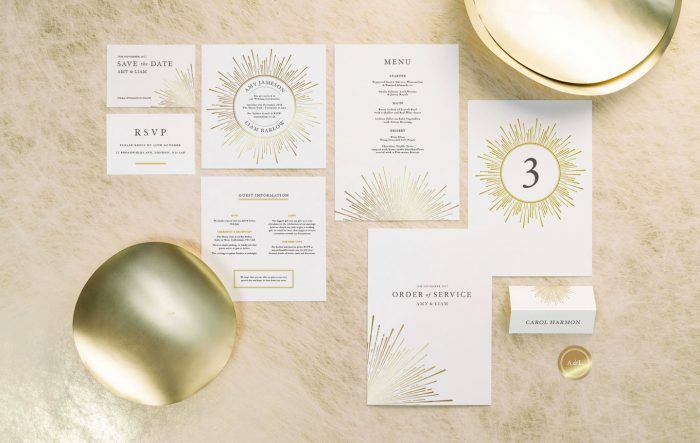 When you’ve found your dream wedding venue, it can also be a beautiful basis for your stationery. 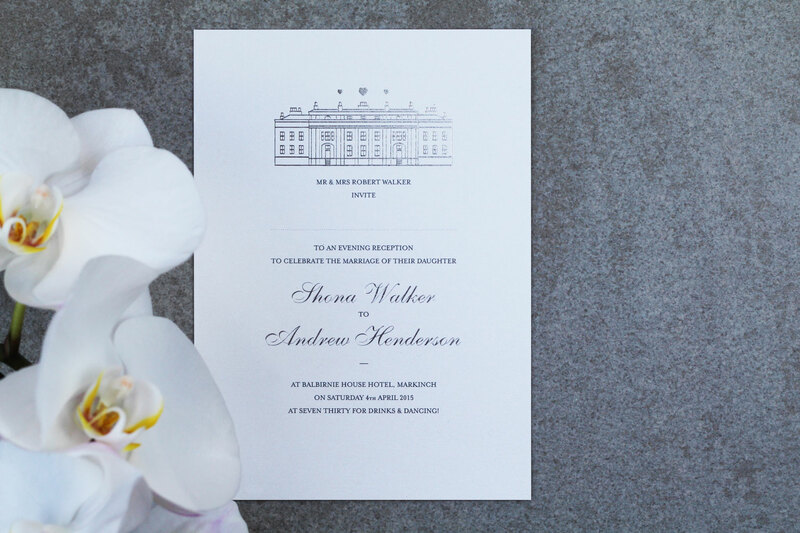 Each of our Modern Venue Invitations includes a bespoke design, which adds a unique element. 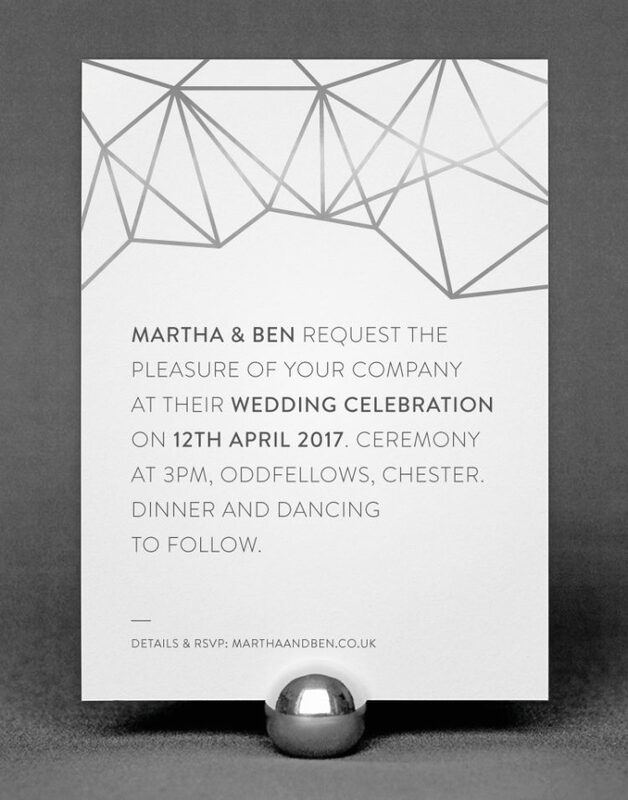 All you need to do is send us a picture of your chosen venue, and we’ll illustrate it in our contemporary style. 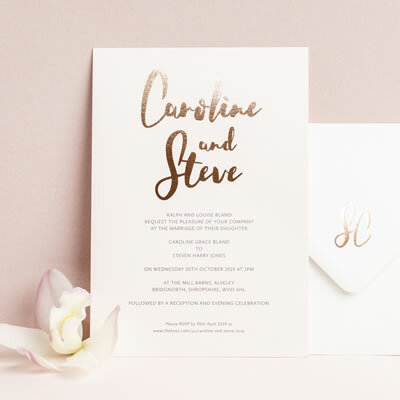 You can then choose the foil and card colours to match the rest of your wedding plans. 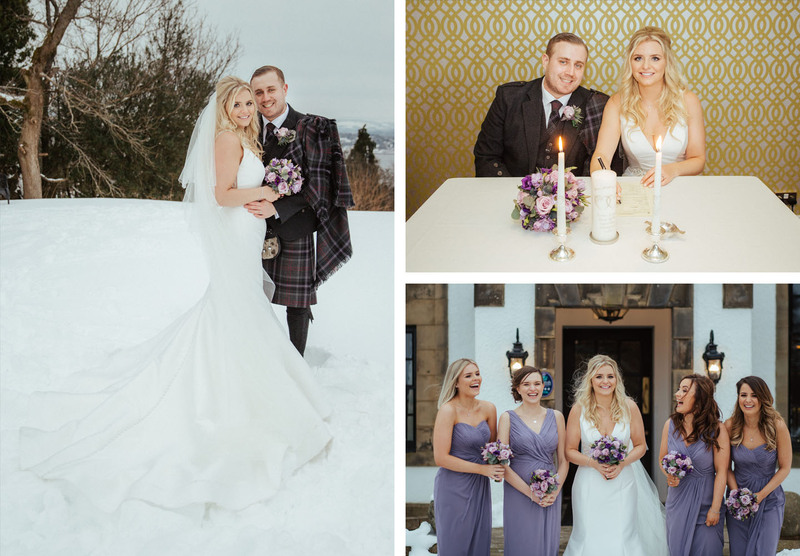 Linzi and Craig for sharing details of their winter wonderland wedding day with us.